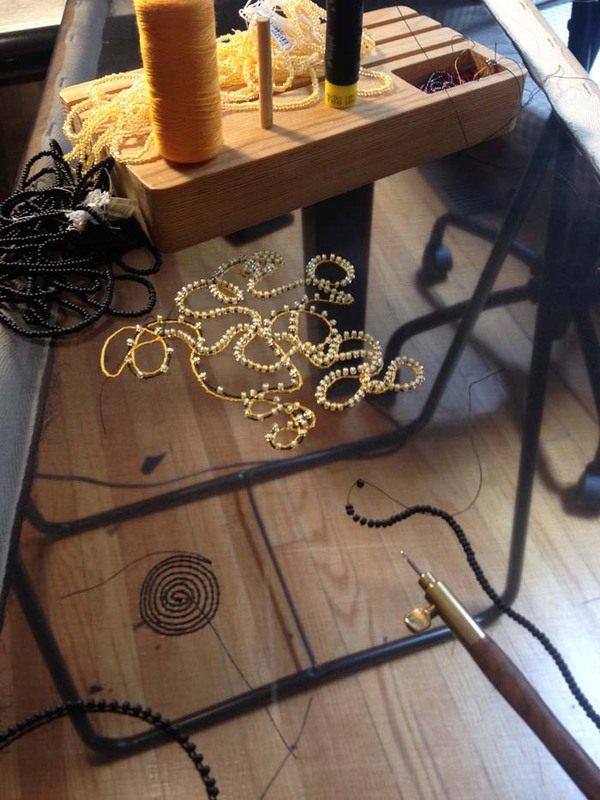 Course outline: Designer and instructor Catherine Sequalino Poitier will lead you through the history and the basics of ‘Crochet de Luneville’ – the style of embroidery featured in haute couture and other high-end fashion designs. Also known as ‘tambour embroidery’ in North America, students will learn how to use the traditional Luneville hook and how to load the frame. You will also learn how to create the beginning stitch, the chain stitch, the barring stitch and how to apply size 10 and 11 seed beads. The class fee includes the use of the use of the instructor’s hooks and frames and all the materials required for the class.